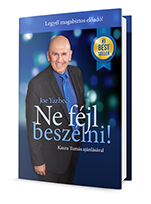 Whether you are speaking to influence large groups, presenting to win a sales contract from a small group, or on the public speaking circuit, you will find that “No Fear Speaking" offers a wide variety of innovative tools, tips and resources to help you become a confident and dynamic speaker. 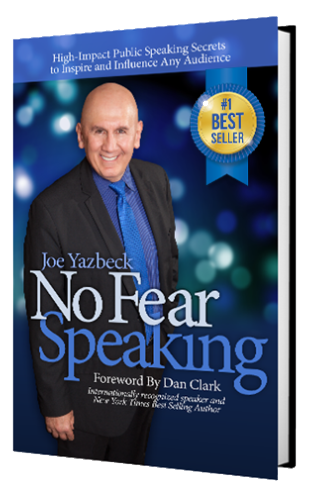 Order a copy of “No Fear Speaking™” today and discover how easy and natural it can be to inspire and influence any audience! 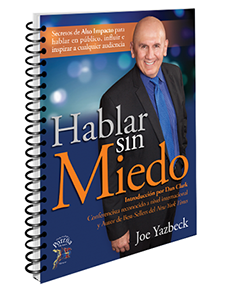 A Reference Guide of “No Fear Speaking” charts and Illustrations in softcover spiral bound and e-book formats. 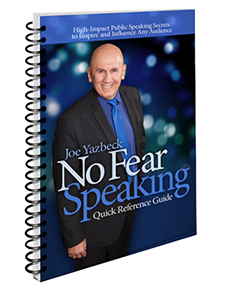 This reference guide is incredibly handy for speakers familiar with Joe's "No Fear Speaking" book who want to have all of his major speaking points with them on the podium, or when they are drilling their speeches in preparation for their appearance. 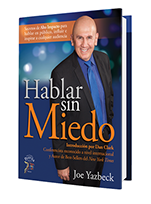 It contains a complete collection of all the charts, tables, tips and illustrations compiled from the book “No Fear Speaking” in one simple to use reference guide. 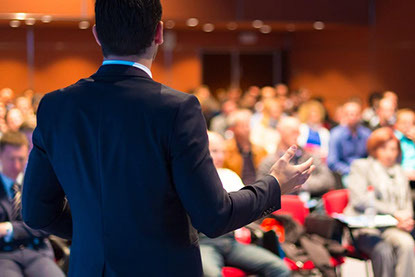 If you are looking to organize a speech and want summary illustrations for quick preparation, this is what you are looking for! An easy to search summary of all the key elements of presentation tools condensed together in one reference guide. The spiral binding ensures the book lays flat on your podium or desk (English version only). Based on the best-selling book. Have Joe Yazbeck instruct and coach you in effective public speaking by watching his video series in the privacy of your home or office. 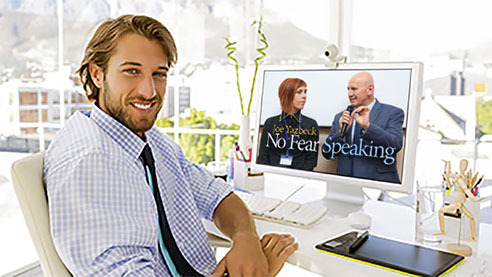 Based on the best-selling book, "No Fear Speaking" author, Joe Yazbeck has created a fully organized sequence of videos to provide you with proven techniques that have helped thousands of speakers around the world to succeed.